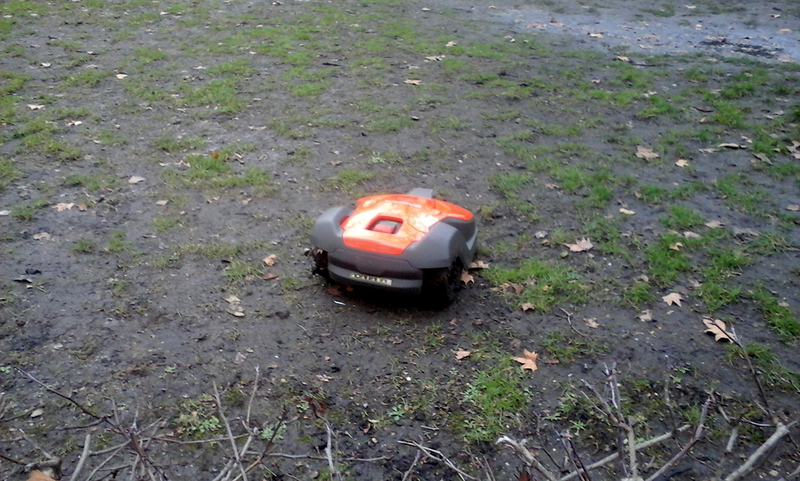 Yesterday whilst walking through Lincoln’s Inn Fields on the way back from a lunchtime shopping trip I spotted on the grass (or what’s left of it), a strange and small-wheeled device tearing up and down. “What the?” I thought to myself. After a minute of two of head-scratching, a stranger joined us and we both tried to work out what the hell it was. Was it some sort of TV comedy show stunt? Mobile advertising? Or an alien sussing out the area for a possible UFO landing in Holborn? 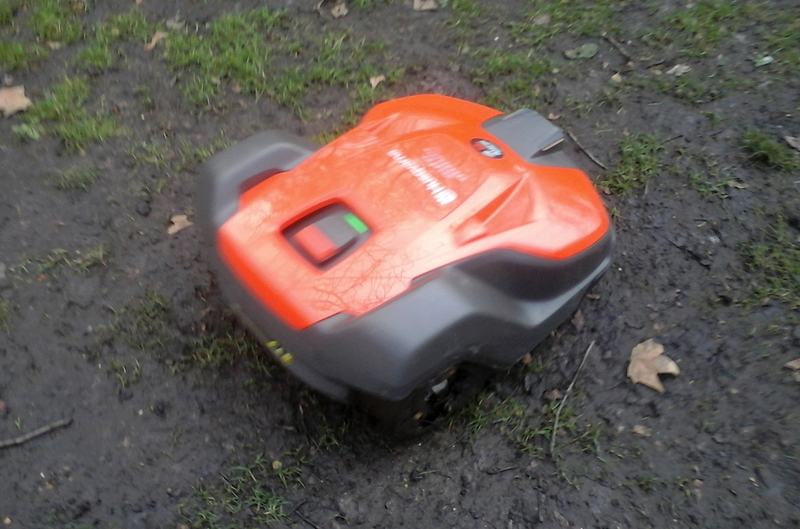 After five minutes we came to the conclusion it was a robotic lawnmower. It must have computed that we were interested in it as the thing stopped going up and down in straight lines and made a beeline for us. It stopped just in front of where we were standing then span around a couple of times. We were then waiting for it to say (in a 1970’s comedic robot voice) something like “You have 20 seconds to comply” or “Smile you’re on Candid Camera” but it just flashed a couple of lights on its body in recognition (above) then resumed doing what it was doing. 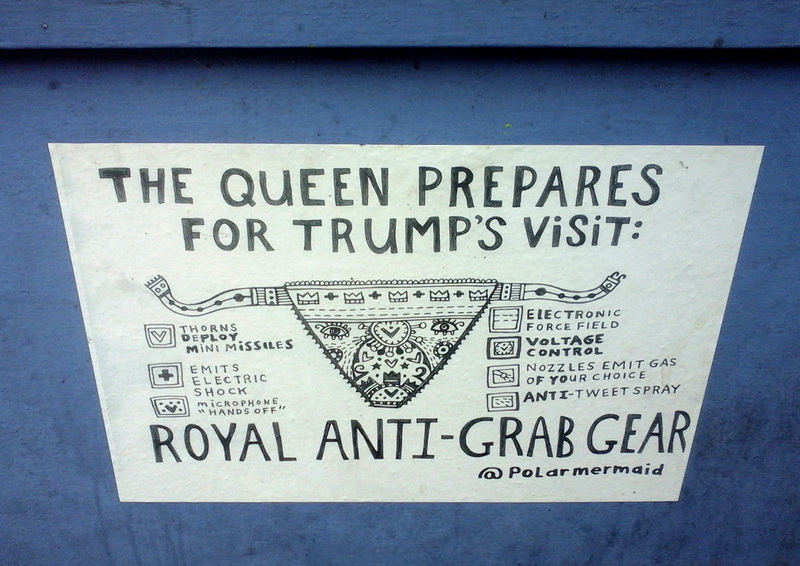 Very odd! 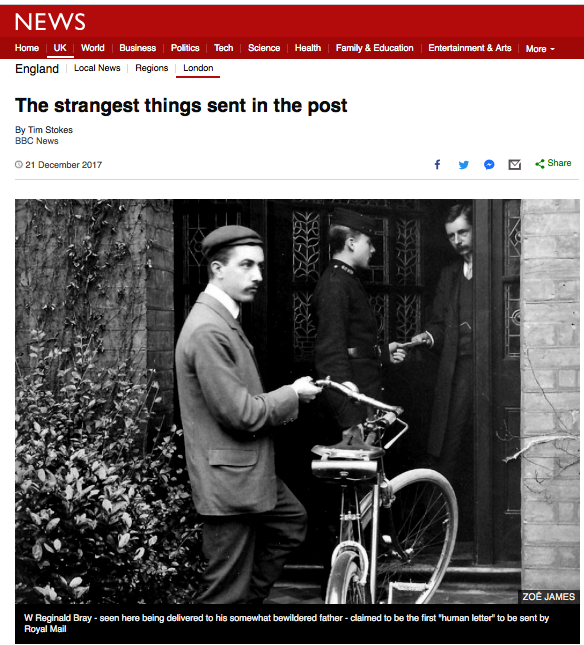 Being an ex-postman and a lover of all things letter and stamp related, I couldn’t help but be drawn to a lovely story on the BBC website (here) about one of the earliest purveyors of mail art who lived not a million miles from where I reside. 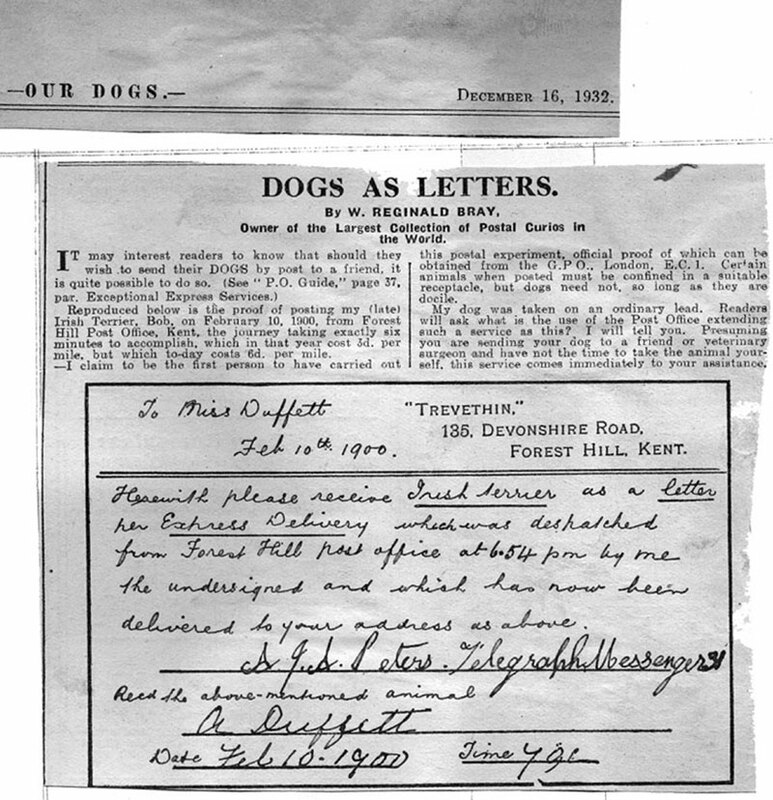 In the early days of the General Post Office the rules of what actually could be sent by the postal service were flexible to say the least and were tested by a few people. 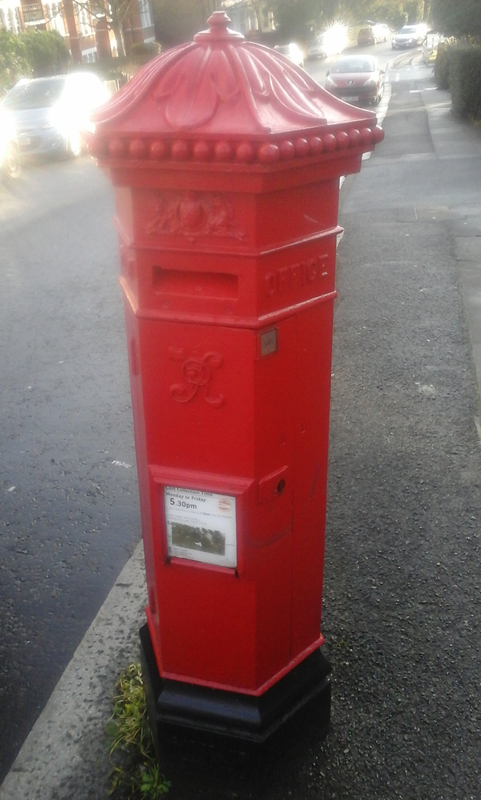 One of the best known was W Reginald Bray from “Devonshire Road, Kent” an accountant by day but in his spare time made it his job to challenge the postal system to the max. 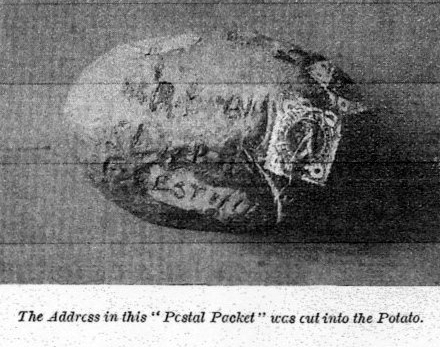 Some of his proudest moments included posting himself (on not one but three occasions), sending a potato with the recipient’s address cut into the skin (with stamp affixed) and even his Irish Terrier Bob wasn’t spared a trip through the post. He was an keen autograph collector too, sending out thousands of requests by postcard to all sorts from Pericles Diamandi, The Human Calculator, Ken “Snake-Hips” Johnson, the Jazz band leader who died at Cafe De Paris during the Blitz in March 1941 and the English Clown Whimsical Walker. They must have loved Reggie Bray at the local post office. 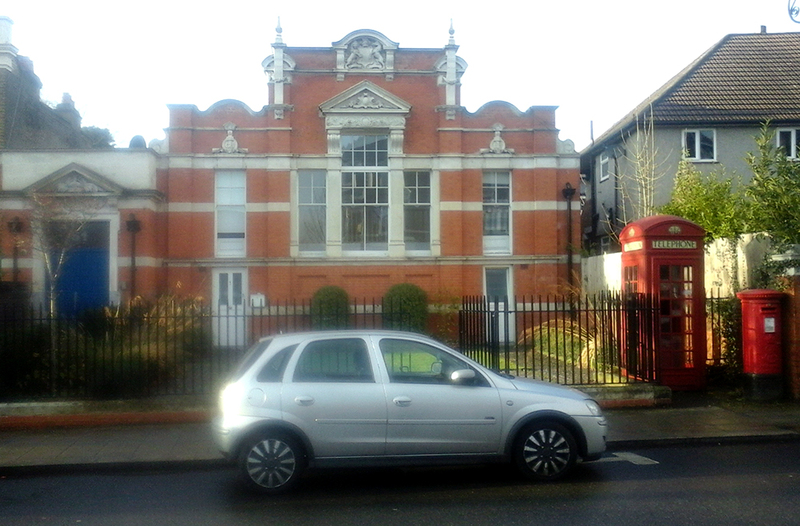 Sadly the delivery office in Devonshire Road where he would have carted his strange postings to (that must have delighted the postmaster and workers there) has now been turned into flats (above). By the way as it’s that time of year Season’s Greetings and a Happy New Year to all from London In Your Lunch Hour! 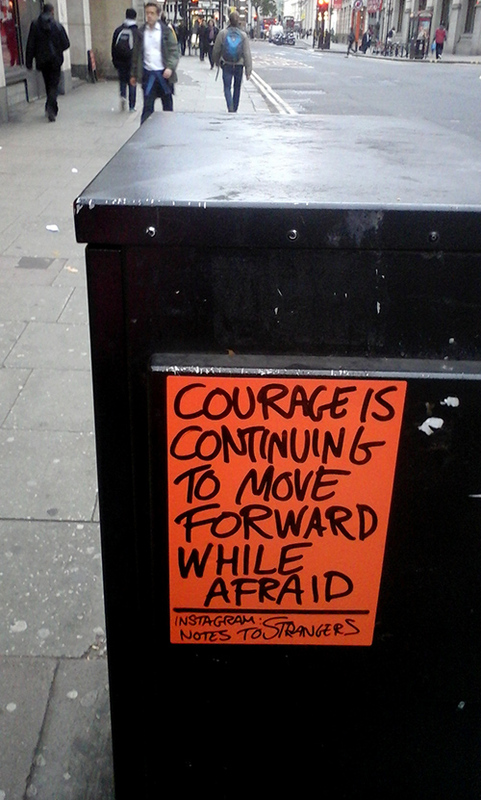 From a post earlier this year but remixed in November 2017 for an outside writing project. 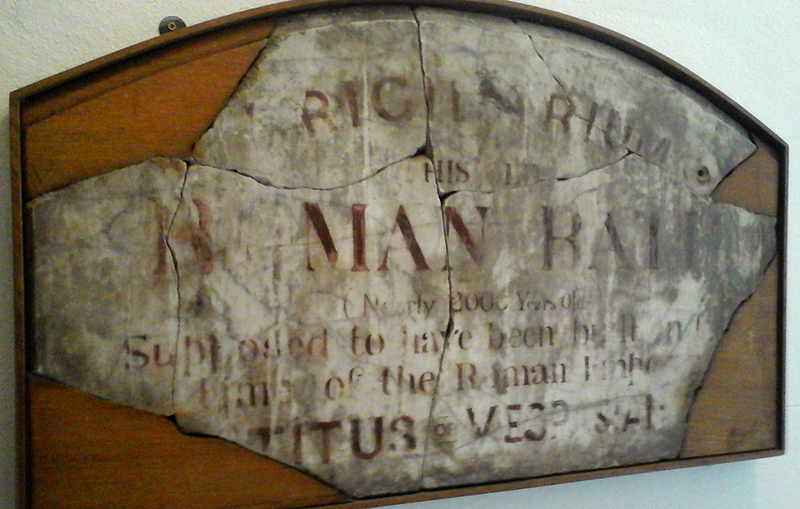 I now live in London with its own fair share of real Roman antiquities but have long been fascinated by the so called “Roman” bath in Strand Lane, a quirky attraction just off the beaten track that could easily be missed. It’s not far from the BBC’s old HQ Bush House and just behind the disused Aldwych tube station at the Fleet Street end of The Strand. Roman? It’s probably not. It’s more than likely a cistern for a garden water feature of the original Somerset House nearby dating from the early 1600’s. 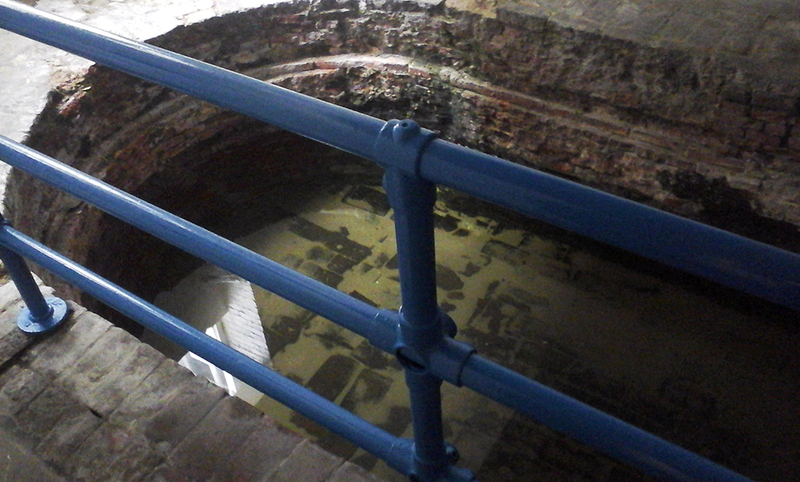 In the 1770’s the cistern was reclaimed and advertised as a “cold bath” and it’s presumed in the 1830’s the owner thought if they gave it a Roman angle (“The old Roman spring bath”) more punters would use it and it’s stuck ever since. More on the bath’s history here and here. 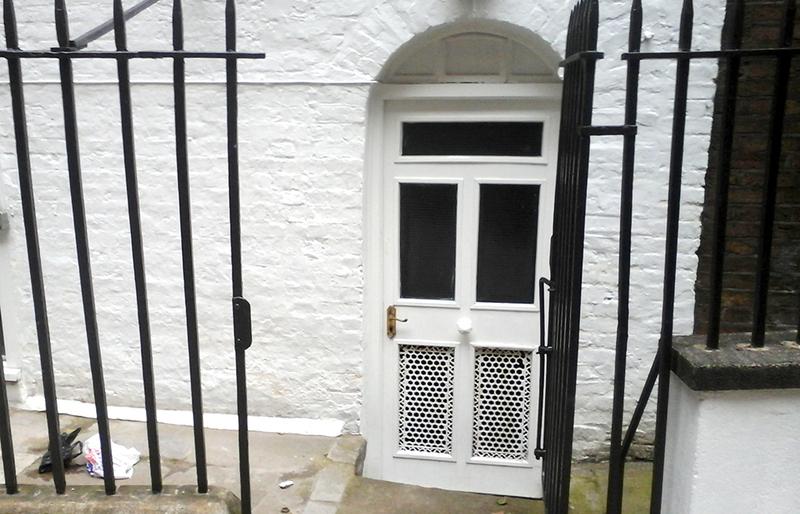 Up until earlier this year it was easy to view, all you had to do was walk up Strand Lane to the building that has a National Trust sign outside (above) and if the gate was unlocked you could peer at the interior through a grill. On the numerous occasions I’ve been I’ve looked through the (if not dirty then steamed up) window seeing next to nothing but my own reflection, my imagination running wild, all the time dreaming that one day I would go inside and see the “antiquity” close up. 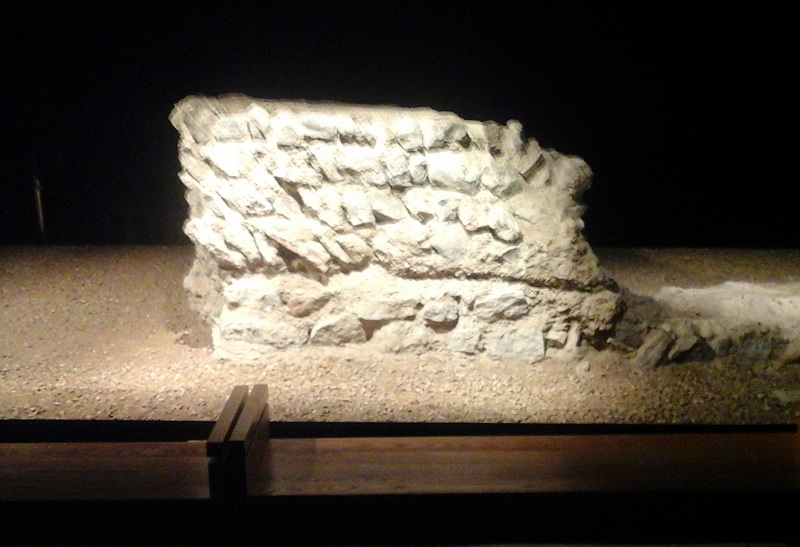 I made an appointment and on the day, after a security check at the bottom of Strand Lane showing my confirmation email I was met at the site by a Westminster Council gardener (what is it with council workers and Roman remains?) from the nearby Embankment Gardens who let me in but stood outside for the duration of my visit. 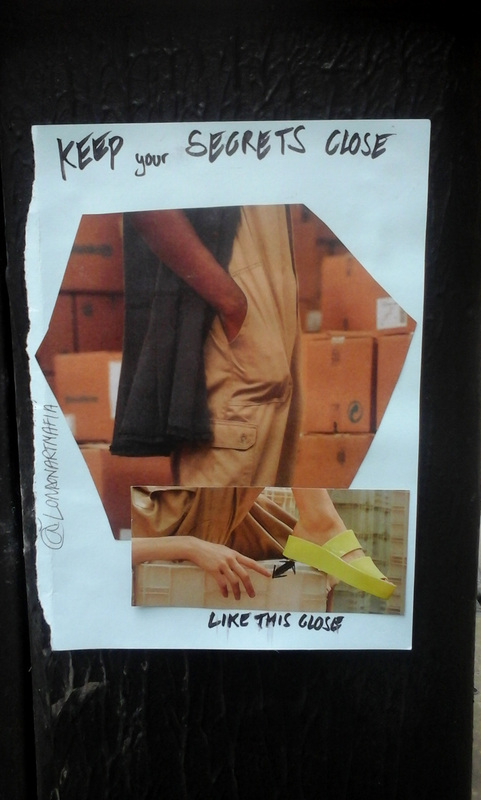 If you intend to go do read up about the place first as you won’t be getting a tour of the guided variety. The building certainly had an air of antiquity as first thing I noticed as I entered the dark interior was the pungent smell of damp then the feeling of intense cold. The council worker didn’t mention it but on the wall of the entrance hall (to the left) inside were a couple of switches; one for the lights in the hall and the other for the light over the actual bath itself. 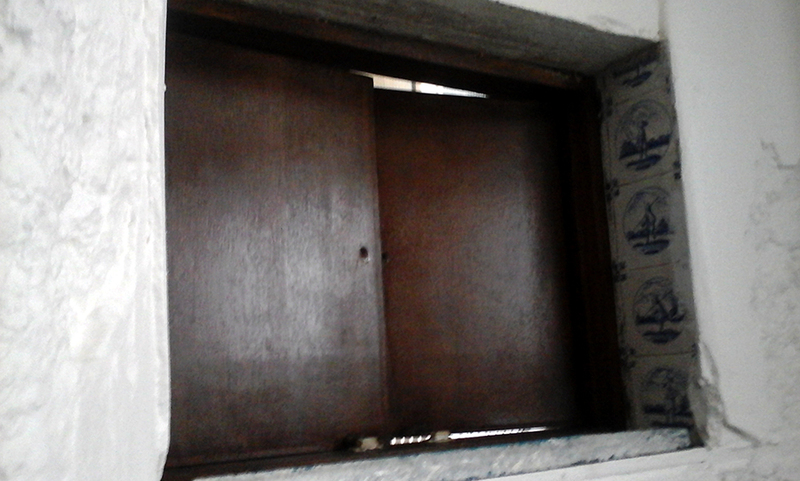 Below the switches was a table with a couple of barely readable photocopied sheets about the history of the bath. 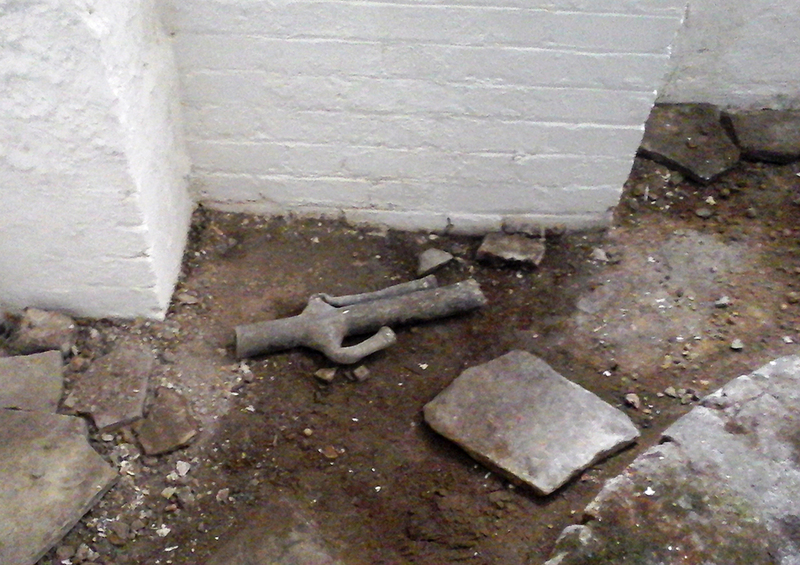 To the right was a bricked up tiled doorway to what once led to a second bath The Essex bath which is now buried beneath the rear basement of what once was The Norfolk Hotel now part of King’s College in Surrey Street (more info and pictures of The Essex bath here). 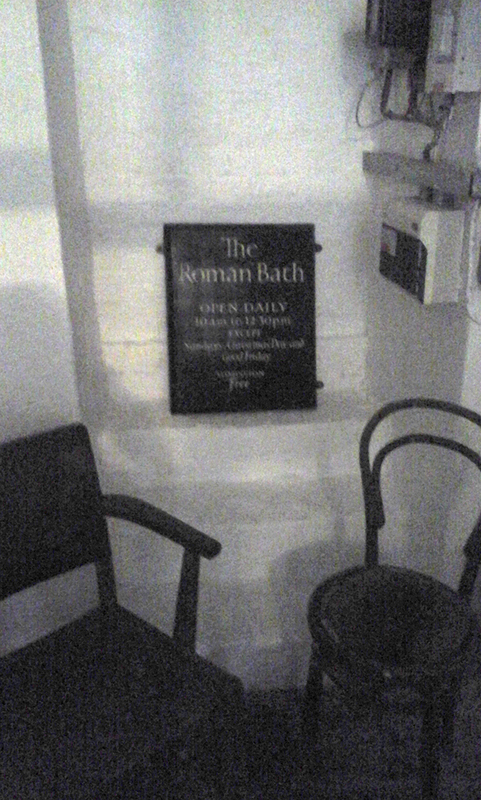 At the end of the hall was a small dark room (above) with a couple of mis-matched wooden chairs, a Roman bath sign and a modern day fusebox giving it a look of an execution chamber. It’s a room you certainly wouldn’t want to spend the night in. To the left was the area where the brick plunge bath was, the water looking as clear as a bell and very inviting (if a bit cold). It would have been great to join the likes of Charles Dickens and the fictitious David Copperfield who enjoyed a dip there but a metal bar stopped you from going any further to explore the bath or its surrounds. To the side of the bath was a not very Roman 1960’s style serving hatch (above). The biggest disappointment was the lack of anything there that even looked remotely Roman. 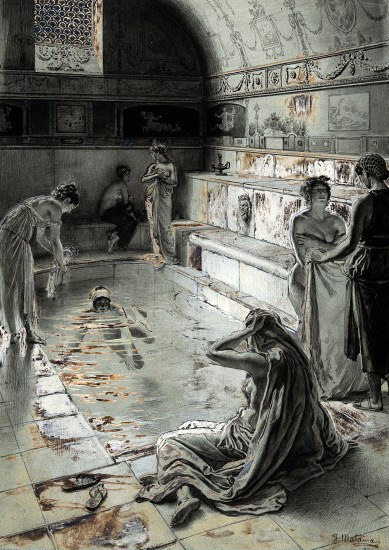 It is said in the past the room was decorated in a Roman style complete with wall tiles and stone busts but sadly there’s nothing of the sort these days. Amongst the broken paving stones lying on the bare flooring I did see what I thought was a discarded statue of a Roman deity (below) but on second glance it was a piece of twisted up copper pipe. Even though I’d been obsessed with the bathhouse for years there wasn’t much there to hold my interest, the cold and damp didn’t help much either and in less than ten minutes I had seen enough. I imagine the National Trust and Westminster Council (who co-own the bath) don’t make any revenue out of it and as it’s off the beaten track and the only ways to visit is on the annual Open House day or by email appointment there’s a good chance it may fade into obscurity like it has done in the past. Perhaps if it was redecorated in a period style or opened as a working plunge bath I’m sure that would attract fee paying visitors. Even if we disregard the “Is it Roman?” argument, given the popular belief that the original cistern was built in 1612 the site is still over 400 years old. That’s historical isn’t it? And how about making more of the Charles Dickens connection? 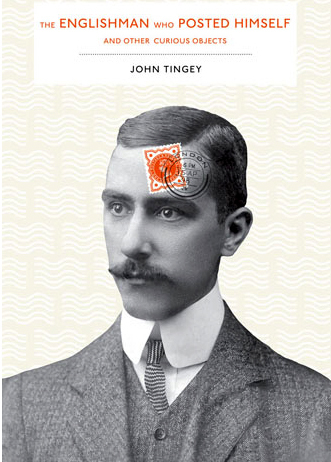 Tourists of a literary bent would find that very interesting. This lunchtime while walking down Tottenham Court Road a couple of buskers were going through their paces outside the tube station. I’ve seen these two before; a dreadlocked singer/percussionist with a tambourine strapped to his left foot and a guitarist giving it loads in a non-John Williams style. It’s a new one on us! Have a monster of a festive season! Someone’s knocking at the door. Somebody’s ringing the bell.